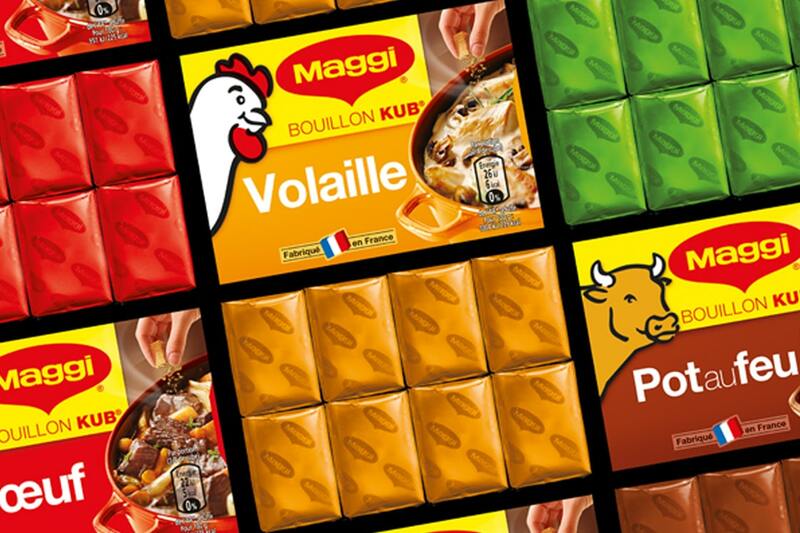 Maggi, brand leader and expert in the category of cooking aids, has entrusted Logic Design with the packaging redesign of its core offer: the Bouillon KUB® range. Faced with a problem of segmentation and navigation within the 16 references of the range, Logic Design has implemented its unique methodology, Open Pilot®, involving consumers in a co-creation process and generating innovative “insights” on product use. A styling in brand interaction highlighting the taste and appetency related to product use; A clear and simple segmentation to facilitate understanding and navigation within the range of the supply. The 16 new packaging designs, concocted by Logic Design, made their shelf debut in late 2015.